AMD Roadmap Hints HBM2 Vega Coming In 2017 | Polaris Uses HBM1 & GDDR5 RAM? Judging from the companies roadmaps shown during their Capsaicin event held in GDC 2016, AMD’s next generation Pascal GPU’s are not currently using High Bandwidth Memory 2, and instead use the tried and true HBM1 technology and GDDR5(X) RAM. If you’d asked anyone in the tech and gaming industry a few weeks ago, they would have told you with a great deal of certainty that Polaris and HBM2 were a sure thing. 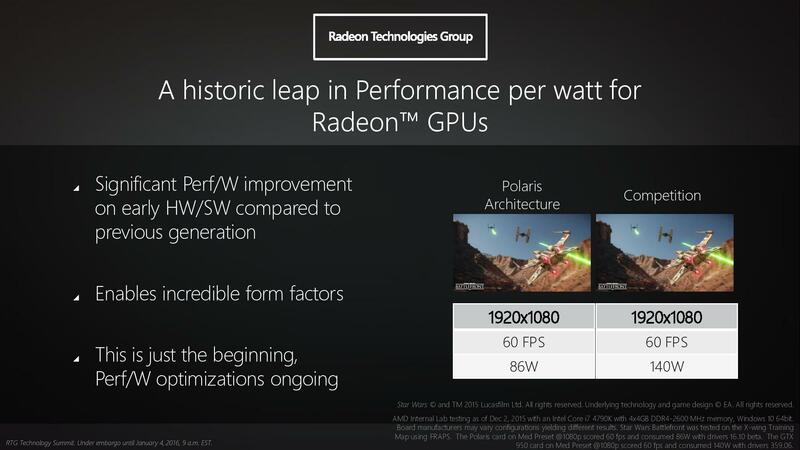 AMD debuting Polaris with HBM2 was one of the earliest and enduring of the Polaris rumors and leaks circulating around the internet, but this doesn’t appear to be the case. Let’s delve into what this means and why AMD have decided to go down this path and if we might seen a HBM2 Polaris GPU in the future. 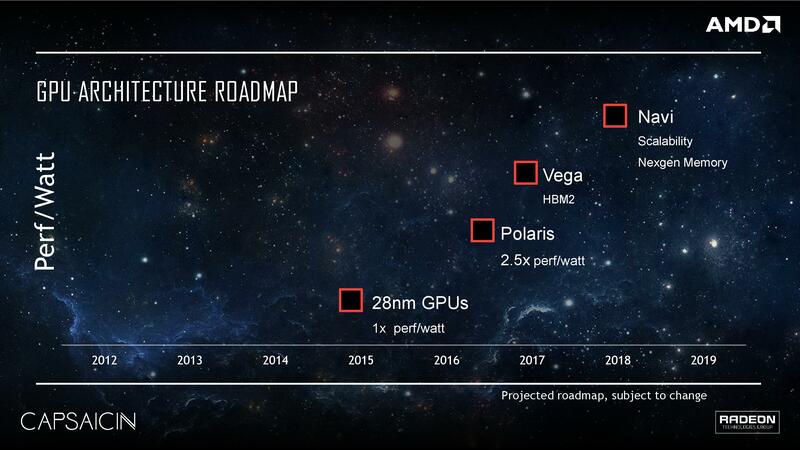 According to the aforementioned roadmaps, AMD have solid plans to follow up Polaris over the upcoming few years. The first successor to Polaris (possibly GCN 5.0… or an entirely new architecture, there was little elaboration) known as Vega will use HBM2. Vega (some are calling the chip GreenLand) will launch in 2017, which is precisely when HBM2 chip production will be flowing freely. After the release of Vega and HBM2 during 2017, AMD will release their Navi architecture in 2018, with what it’s calling next generation memory technology. About a week ago, news popped up from SK Hynix they were planning to have 4GB DRAM chips ramping up in production for Q3, and the forth quarter will see the production of 8GB DRAM chips. These reports from SK Hynix simply don’t match with the timeline AMD have for the release of the Polaris range of graphics cards, and just like rumors from Nvidia (who’re also considering using GDDR5X) are forced to use existing memory technology to get the best out of their GPUs. The other benefit is HBM2 is still rather expensive, the interposer (think the connection between the GPU and the HBM chips) isn’t cheap to mass produce right now. Despite large jumps in Polaris performance, it’s possible that both Polaris 10 and Polaris 11 will be quite happily fed by GDDR5X (offering twice the bandwidth per pin when compared to traditional GDDR5, 14 gbps vs 7 gbps). Another possibility is AMD have indeed found a way around the 4GB limit of HBM1, and this does track with earlier rumors way back in April of last year (2015) which mentioned a Dual Link Interposer, a technology from SK Hynix. AMD are being rather cagey regarding the memory configurations of the two Polaris chips (and according to Raja Koduri, the company are only planning to release 2 GPU’s this year, not 3). AMD’s Navi range of cards is the weirdest of all, with two non descriptive notes which reads “Scalability” and “nextgen memory”. Sticking to the memory side of things for a moment, it’s no secret that HBM2 has its limits. Nvidia and AMD have both been vocal regarding this very issue; and while on paper 32GB of memory sporting 1.2TB/s of bandwidth is impressive, it requires a lot of extra juice to ramp that clock speed up to give that (compared to 1TB/s). Plus, it’s highly likely we’ll need considerably more bandwidth than that in the next few years, as screen resolutions blow up and the number of pixels per second go through the roof, bandwidth requirements raise in kind to push the crazy amount of data to the graphics processor. Just what this next generation memory technology ends up being is a mystery, it could well be an evolution of the current HBM technology (HBM3, for lack of a better term) or something entirely different and equally (or more) revolutionary. Unfortunately what AMD mean by scalability is a big mystery, but the company did reference several times that for those looking for the best performance and best value, multiple graphics cards being powered by multiple CPUs was the way forward. Years ago (think up until the early 2000’s) a single CPU core powered a single GPU, and now with DirectX 12, Mantle and Vulkan (plus current CPU’s and GPU’s) multi threading is extremely possible. Different CPU threads speaking to different graphics cards which themselves are multi tasking (thanks to Asyncronous Compute which schedules both compute and graphics workloads on the same hardware). AMD aren’t giving anyone exact release dates of Polaris, but have said a few times to journalists and during conferences they are aiming to start releasing Polaris in June, 2016. Whether this is a paper launch, or whether you’ll be able to head over to your favorite store and pick up a shiny new card isn’t known. It would appear though that both AMD and Nvidia are both keen to get their cards on the shelves at a similar time, with neither company wanting to give the other the advantage of additional selling time. 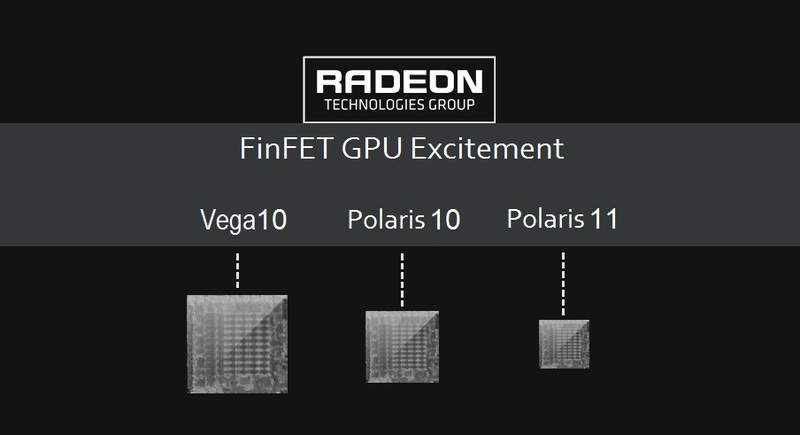 So there you have it – AMD’s Radeon Vega is most likely GreenLand, the 32GB HBM2 monster that’s been circulating the rumor mills for months and months; while Polaris is the first taste of the massive power savings of 14nm. If Polaris is providing a 2.5x performance per watt advantage (compared to current GCN GPU’s) and still using traditional memory, this all the more impressive and makes you realize where the future is heading in the tech industry. With the introduction of Radeon Navi (whatever that’s going to be officially called) in 2018 things will be pretty damn interesting. Tagged with AMD, amd navi, amd polaris, capsaicin, gpu, graphics card, hardware, vega.